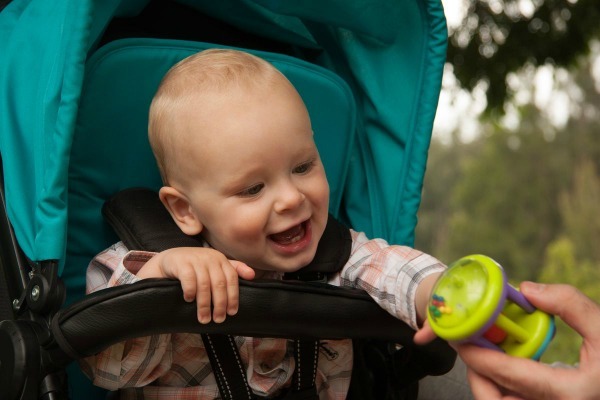 What do real mums think of the new InfaSecure Arlo Travel System? Earlier this year we gave away three revolutionary new Arlo Travel Systems, and we asked the three lucky winners to give us their opinions on the products. If you’re in the market for a stroller and infant carrier that can work as a travel system, step right this way to find out what real families think. There’s nothing quite like a road test with a real family to see just how well a baby product lives up to its reputation. In conjunction with InfaSecure we gave three Arlo Travel Systems away, including the Infant Carrier and Arlo Stroller (one ISOFIX and one non-ISOFIX), worth up to $1080 per system. The lucky babies who got to test the Arlo for us were a newborn, a five-month-old and a 12-month-old, proving just how versatile this new travel system is. When in the bassinet mode, our three reviewers found the Arlo stroller had plenty of room even for larger babies, and loved that the baby can be harnessed. One of our mums said, “I love the bassinet mode. I couldn’t believe how quick and easy it was to convert into a bassinet”. Likewise, forward facing was also a winner – allowing the children to sit up straight, giving them a good view. The luxurious leather handle bar was welcomed by our mums, as was the adjustable height. Each found it reached the perfect height for men as well as women, and also left plenty of room for walking comfortably. The Arlo stroller’s compact fold garnered applause from our reviewers, leaving plenty of room in the boot for shopping and other baby-related paraphernalia. Our three mums adored the Arlo stroller’s adaptable design – with its interchangeable hoods and inserts. Overall the sleek design and handy features meant this stroller was literally given rave reviews. Of course, a travel system isn’t a travel system without a car seat. We also gave our reviewers Arlo Infant Carriers to road test. They found it “a breeze” to transition the seat from the car to the pram and vice versa, one mum saying she was able to, “click and go without disturbing the baby”. 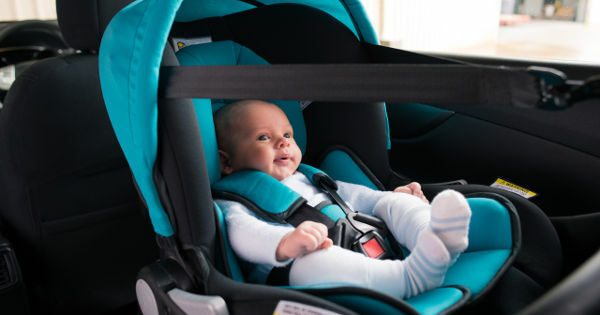 The reviewers found the Arlo Infant Carrier worked well in their vehicles, leaving enough room for other passengers and child car seats. To browse the Arlo range, or to find a retailer near you, head to InfaSecure.